Before the days of air conditioning, every bedroom had a sleeping porch connected to it. The Pecan Room still has one and it is a great place to relax in style. 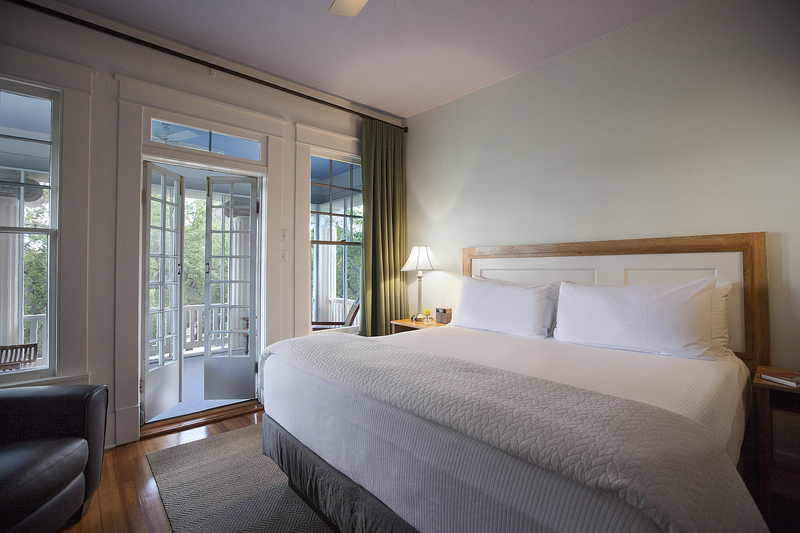 Inside the room is a King bed, private full bath with a giant clawfoot tub and an in-tub shower. The private screened porch is on the front of the house providing a great view of all the comings and goings at The Fairview. The Pecan room can be optionally connected to the Bluebonnet Room to make up a nice suite for families. 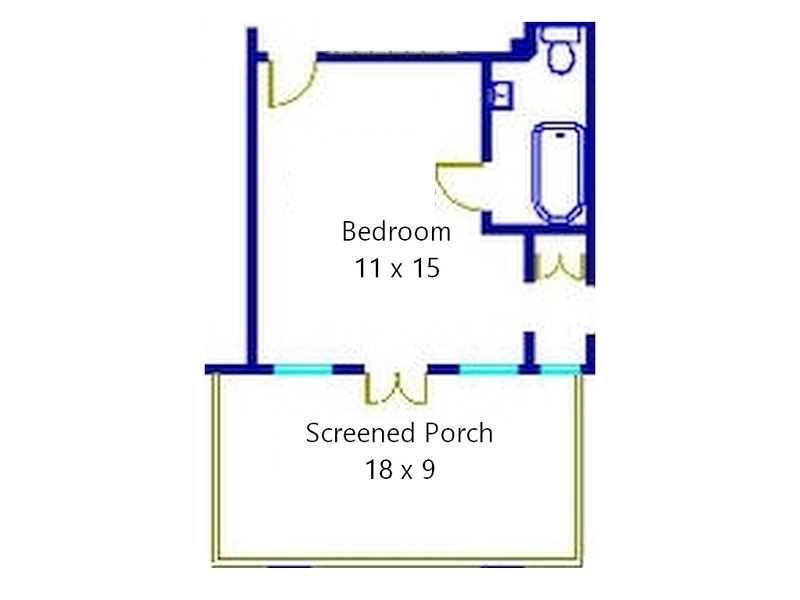 A King bedroom with full bath, clawfoot tub, and private sleeping porch.